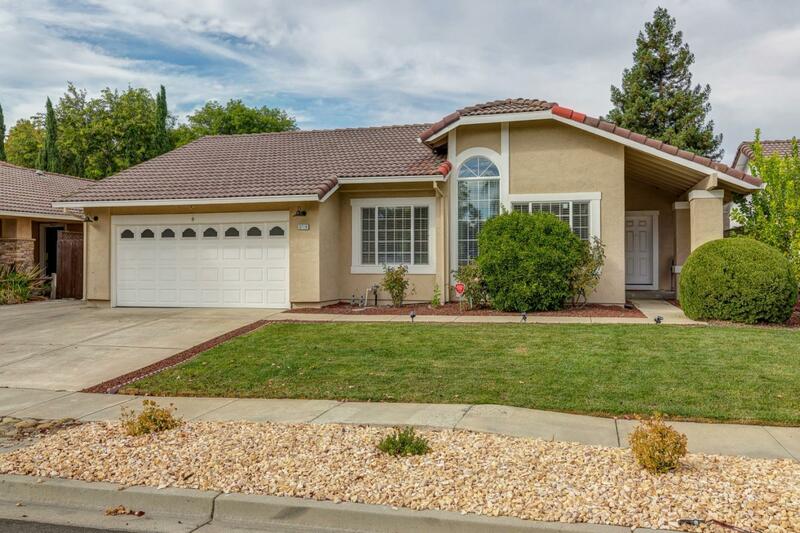 Beautiful Ranch Style Single Family Home with 4 beds, 2 bath & office on large 8,040 sqft lot. Bright airy and Open floor plan. Formal living room with cathedral ceiling, hardwood floors and more! The kitchen has been updated with quartz counters and customized ceiling, and new appliances. Kitchen is open to living room and has breakfast bar. Hardwood floors in living, dining, kitchen, and family rooms. Updated electric fireplace in family room, new attic insulation, recessed lighting in living room, family room, and kitchen. Ceiling Fans in master bedroom and living room. House has home security system, includes 8 CCTV's with live view too! Outside there is a brand new deck & gazebo, backyard has been recently done with seven fruit trees, and there is a 2 car finished garage. Near great Pleasanton schools.